A “box on demand”-machine scans the measurements of every order and cuts a box to the smallest possible size. This box is then folded around the order, sealed and made ready for shipment by applying a label. The machine is completely flexible concerning shape, measurements and the number of products (singles or multies) that have to be send in one box. 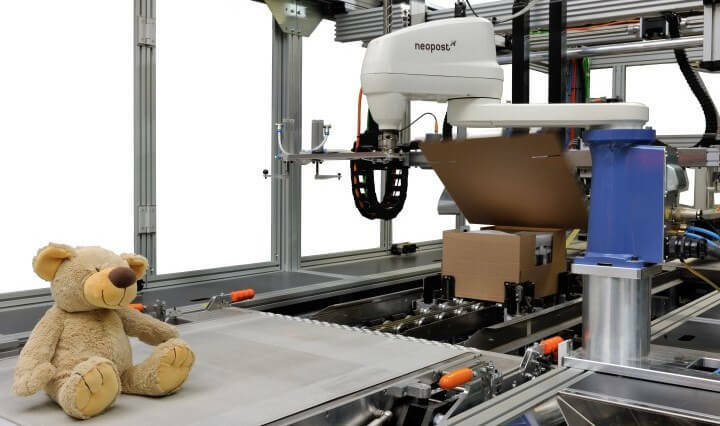 A “box on demand”-machine promises a volume reduction of 50% compared to standard boxes, with the result of lower transport costs, no unnecessary filling material and approximately 20% less packaging material. This is correct when we talk about just 1 product. But how often do you only send 1 product? For sending multiple products your employee first has to stack the products manually before he can create a ‘fit-to-size’ box. A stacking tool will first calculate the optimal stack of the products and then put the smaller volume in a fitting box. 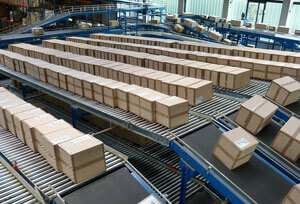 Every “box on demand”-machine has a limit on the maximum number of orders it can process per day. Some can process 500 orders, others can process up to 1.000 or more per day. What happens during peak periods like the holidays? There is a very real chance that the machine cannot process all orders and that you need to switch to manual packers. The reduction that you achieve by using your machine is now (partly) nullified by the manual processing. In this case a stacking tool offers visual instructions to all of your packers in order to make sure the stacking will happen faster and more efficiently. The machine promises the smallest possible box without filling material. In reality this is not always possible. Every machine has to do with a range. This means that the machine has to take minimum and maximum measurements into account. 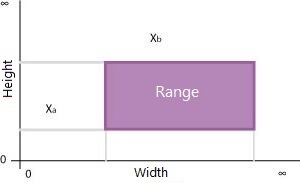 Imagine that your machine has a range of 20cm to 100cm in height. What will you do with products that have a height of 10cm? Therefore you still need filling material. A stacking tool works with a set of standard packaging sizes that are not linked to a range and allow you to use even smaller (or larger) box sizes. Packing your products in an optimal box is step 1. Afterwards you will also have to stack them on a pallet as efficiently as possible, in order to ship them using your carrier. For this step a “box on demand”-machine does not offer a solution. Especially with ‘high mix -low volume’ you could sometimes ship up to a pallet more than necessary when you decide to do this manually. Is a stacking tool better than a “box on demand”-machine? You have a better stacking of your orders, starting from 3 products per order. The manual part of the stacking will happen faster and more efficiently thanks to the visual instruction for the packer. You can determine on beforehand if articles fit best in the “box on demand” or in a standard box. You can stack finished orders efficiently on pallets and in trolleys. Do you have a “box on demand”-machine? Let us know which one you use or wish to use and we will calculate your potential extra saving.